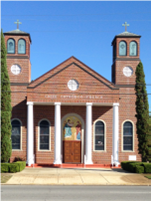 Welcome to the Annunciation Greek Orthodox Church of Pensacola, Florida. Through this web site, we are pleased to be able to introduce you to that same worship and fellowship as it is expressed in the life of our Parish. If you are a new member of our parish, or are considering membership, these web pages will acquaint you with what our parish offers to those who give it support and sustenance; to those who already belong to the church, we hope they will provide you with the assurance that your sacrificial offerings are received with profound respect, and are utilized to maximum effectiveness. They will, in any case, enable you to make the informed decisions that are necessary for a meaningful relationship with your church! Welcome to our website! We hope you are able to visit and worship with us soon. 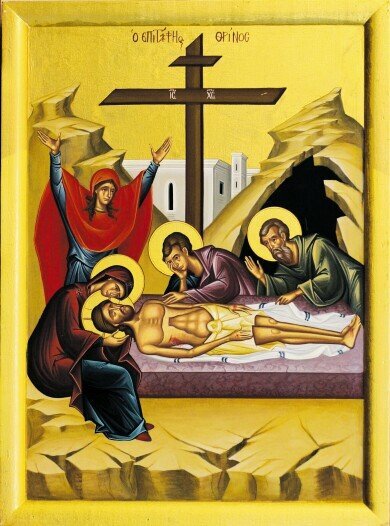 The Annunciation Greek Orthodox Church is under the jurisdiction of the Metropolis of Atlanta, under the Greek Orthodox Archdiocese of America which is an Eparchy of Ecumenical Patriarchate of Constantinople. The Annunciation Greek Orthodox Church Hall and related facilities are owned and operated as an integral part of the ministries of Annunciation Greek Orthodox Church and are subject to the traditions, dogma and Holy Canons of the Holy Greek Orthodox Faith. We reserve the right to reject any request for the use of any such facilities. In addition, any uses that violate any applicable laws, ordinances, regulations or statutes are expressly prohibited.